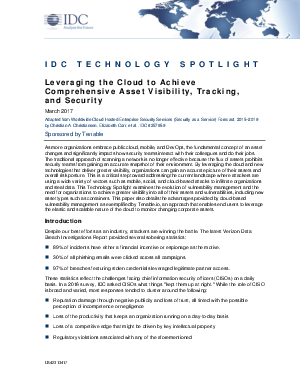 This IDC Technology Spotlight examines the evolution of vulnerability management. By leveraging the cloud and new technologies that deliver greater visibility, organizations can gain an accurate picture of their assets and overall risk posture. This is a critical step toward addressing the current landscape where attackers are using a wide variety of vectors such as mobile, social, and cloud-based attacks to infiltrate organizations and steal data.